Any beauty or cosmetic treatment should be a positive and pleasurable experience and at Really Really Me we aim to ensure that choosing a cosmetic hairpiece should be no exception, as is your choice of Cosmetic Hair Consultants. Whether you require a hairpiece for a clinical reason or simply for fun or social reasons, where better to choose than in the comfort of a superbly appointed salon at the hands of one of the North West’s premier Cosmetic Hair Consultants Really Really Me and a stylist who understands your requirements and concerns. Even if you’d just like to try a radical change (without making a permanent commitment!) – a sparkling new personality awaits you. Relax under the direction of highly experienced hairdresser Nat Cargius, secure in the knowledge that you have a safe, experienced helping hand guiding you towards making your final choice. In a career spanning over thirty years in hairdressing, Nat’s work has appeared in magazines and publications worldwide. He is the recipient of a much coveted British Hairdressing Award and not surprisingly, has taught advanced hairdressing skills in prestigious London Hairdressing Academies as well conducting seminars throughout Europe. No one can offer you more choice or greater natural comfort along with unrivalled technical excellence and imaginative design. View this season’s dazzling new colours and imaginative styles now and choose a look that’s uniquely you…. really, really YOU! Really Really Me supplies the UK’s finest bespoke and ready made European Human Hair Wigs and is fast becoming the premier cosmetic hair consultancy in the UK, specialising in thinning hair and hair loss caused by Alopecia, Chemotherapy treatment or other illness. Really Really Me only supplies wigs from the worlds leading manufacturers of specialist handmade European human hair wigs and hairpieces. The creative team at Really Really Me is dedicated to producing bespoke and ready made human hair wigs, 3/4 wigs and half wigs that feel and react like naturally growing hair. Our expertise means that we are able to individually cut the system to any style on the client’s head in exactly the same way as they would a natural head of hair. 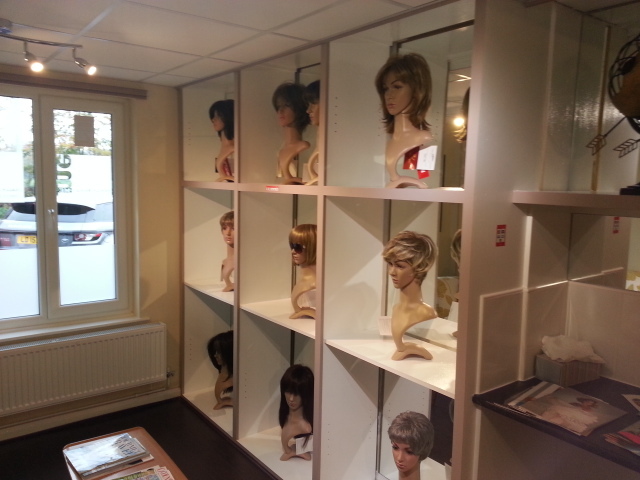 Our unique ready-made, made-to-measure and smart collections provide a broad range of wigs and hairpieces that offer solutions to all forms of hair loss and are widely regarded as the finest available in the UK. All are made to the same exacting standards. Delivery from consultation to completion can be as little as 2 weeks, depending on the clients individual requirement. Our consultants are available to discuss your individual requirements and expectations with you, and to offer you positive and constructive advice, without any obligation. All consultations are conducted in a private consulting room ensuring privacy and the one to one service you’d expect from a leading cosmetic hair consultancy. You can call us on 01244 570600 to discuss your requirements and/or to make an appointment. Really Really Me offers you a private, personal, caring service both during and after the fitting of your wig or hairpiece. To ensure our undivided attention, this service is available strictly by appointment only. Please call us on 01244 570600 to book an appointment. Really Really Me selects only the finest quality 100% natural European hair for its wigs and hairpieces. The hair can be straight, movement, waved or curly and is matched to colour and texture in the required lengths. European hair is essential to achieve both the perfect look and feel and because of its superb quality it moves and swings like naturally growing hair. It is generally understood that “real hair wigs” and “human hair wigs” are the same as “European hair wigs”. This is not the case and is very misleading. It is important to make a clear distinction between the European hair used in Really Really Me wigs and the Asian hair often used elsewhere. Asian hair is bleached from black and then re-dyed to match European hair colours. These processes damage the hair leaving it dull, coarse, dry and unnatural looking and also very difficult to cut and style. In contrast, ‘European hair’ is soft in quality, feels, moves and reacts like naturally growing hair and is more manageable. However, it is difficult to obtain and is therefore more expensive. When acquiring a wig or hairpiece, it is important to be aware of these differences. If a natural look is required, it is essential to use European hair. We take pride in our service and so you’re consultation will be with one person, the styling and all cuts will be with the same consultant. If you require the individual touch Really Really Me has a collection for you. The collection of made to measure wigs and hairpieces is designed, crafted and handmade to your own special requirements, including an individually fitted foundation and hair matched to your desired colour, texture, length and degree of curl. 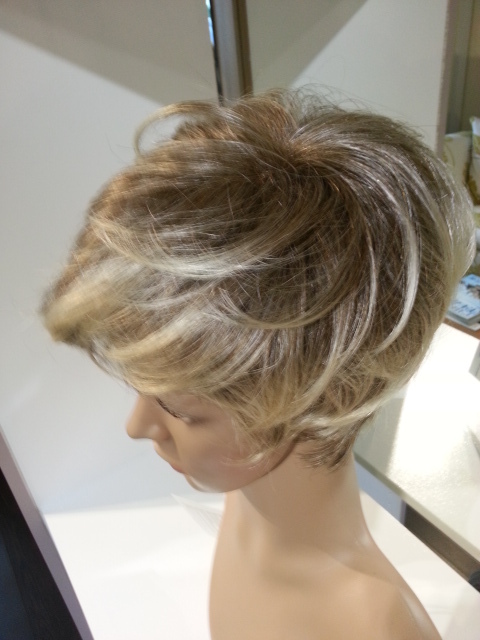 The completed wig, three-quarter wig, half wig or hairpiece is cut and styled on your head by an appointed hairdresser. A completely bespoke product will require a minimum of three fittings. If you require a wig now and can’t wait, we have the collection for you. Really Really Me has created a limited collection of ready-made wigs that are designed to fit most head sizes. These wigs are made in exactly the same way as the made-to-measure collection, using the same materials and made to the same exacting standards. Ready-made wigs are cut and dressed on your head to your preferred style. A ready-made product will require two fittings.